Farmers, Weavers, Craftsman, Cowherds, Shepherds, Agricultural workers are all going to congregate at Kodekal for unity. Hindus, Muslims, Christians all are going to congregate there for unity. “Touchables and Untouchables” are both going to congregate there for unity. Students, Youth, Writers, Intellectuals are all going to congregate there for unity. 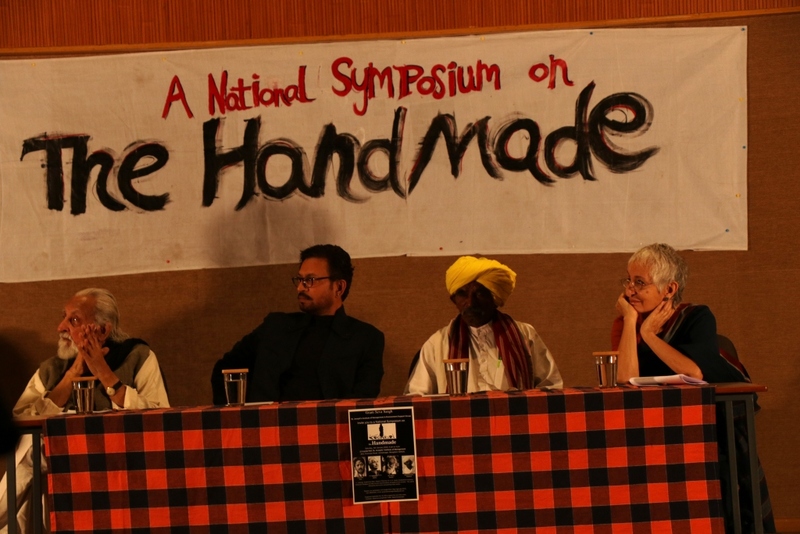 Bringing together weavers, craftsmen, forest dwellers, fisherfolk, animal herders and other hand-working communities, the tax denial satyagraha held yet another campaign through a national symposium on the Handmade. The daylong event here on Saturday featured sessions and talks by several people from the community. 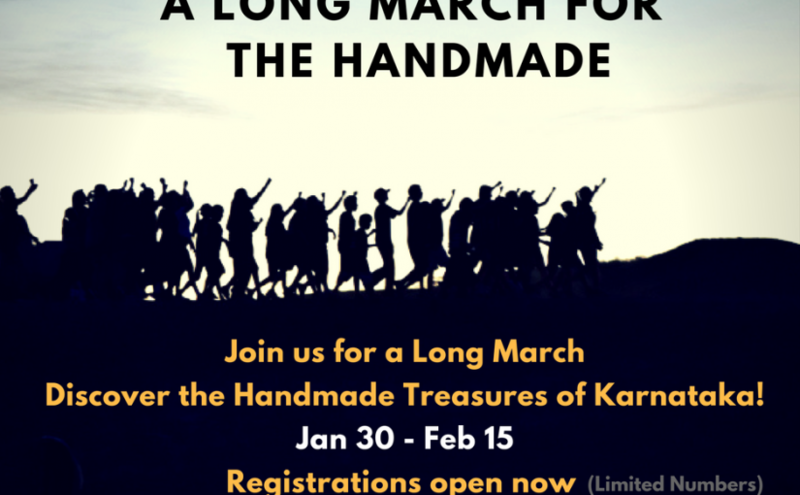 Launched by Prasanna, the theatre director and social activist, and his colleagues in the handloom sector in early 2014, the Handloom Satyagraha has come to acquire greater moral density and resolve. A movement that sought to secure the autonomy and welfare of handloom weavers threatened by the industrial textile lobby has come to take on newer concerns and gain in political clarity. The Handmade Symposium held in the city over the weekend made these clear. “I am an actor. The product I make is as much handmade as what an artisan makes. I act by using my own hands, feet, emotions and speech. In this sense, people who make things out of their hands are my brothers and sisters,” said noted actor Irrfan Khan, expressing his solidarity with the ongoing Tax-Denial Satyagraha by Grama Seva Sangha, demanding zero tax on handmade products. A story in song from West-Bengal accompanying the depiction on the Patta Chitra resounds from the auditorium of St. Joseph’s Institute of Management, Bangalore, the venue for the National Symposium on The HANDMADE. The handmade holds and embodies the continuity of tradition and culture and bestows identity to communities within their homes, and their natural environment, through time. The crisis inflicted on artisans producing by hand in India, calls for redefining our understanding of work, of work relationships, consumer habits and tax regimes. Prasanna Heggodu explained that handmade systems are the enterprise of the future. It is a far better alternative to neo-liberal economy in addressing prevailing environmental, economic and social concerns and in advancing equality, morality, and in tackling alienation of individuals of society. This demands a shift in production to the hand/making from machine-making, and not merely the tinkering of the existing systems which are extractive and destructive. He submitted that hand-making is slow, but is holistic and closer to the nature. It may appear economically inefficient, but is ecologically sustainable and can be made socially just. Machine-making is faster and appears economically more efficient, but causes extensive social and ecological damage whilst also depriving large sections of society of their wealth. Machine-making is also a natural ally of neo-liberal economic systems whose methods entail appropriation and aggregation of wealth and essentially is an antithesis to cooperation and empowerment. Renowned film-maker M S Sathyu questioned the need for taxing everything that is produced. He wondered why theatre is taxed 18% GST when artistes rarely make any money and find it difficult to survive in this highly commercialised and taxed world. The Government which must step in and support such the handmade sector is instead taxing it out of existence. Sathyu also recalled that displacement of the handmade produce is increasingly larger now, as we have entered an era where” every thing under the sun is taxed”. Why should culture and education be taxed? He explained how the tax involved in renting venues, advance booking and tickets are all taxed that too under commercial categories. 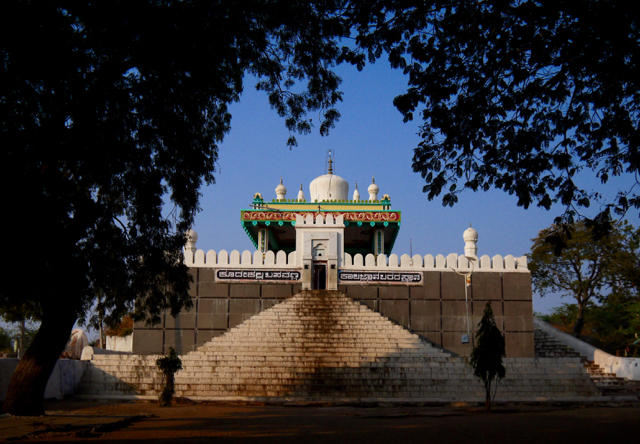 For example, a theatre as a venue is nested under the category of Kalyana Mantapa for taxation. He called for an active refusal to accept such a tax regime and called upon artistes and audiences to come together against imposition of GST on the handmade. Uzramma wished the new year to be one of a different kind of industrial revolution that is democratic, equitable and promises and delivers a sustainable future. She elaborated how the current system had been put in place through violence and that it was being held up by employing violence. Such a system of production has its roots in slave labour in the US and in India, and recalled that it was through such violence that the textile industry was displaced. The conversation dwelled further into bridging the gap between the poor artisans producing with the hand-looms and the rich elite buying the textile. Uzramma pointed towards inherent structures of traders and middle-men that promote this gap and how her organisation was attempting to open rural shops for the economically weaker sections to have access to the handmade. Celebrated actor Irrfan Khan in solidarity embraced all artisans as his brothers and sister, as said his art too is handmade. Acting comes from body, soul and heart, he said. He imagined how beautiful it would be to be contented with a hand-making system, with fair and right prices for products and the erasure of exploitation. Irrfan Khan alluded to prevailing mass-escapism through cinema defies value-driven cinema and does not reflect any reality of the lived experience in society. This discrepancy promotes worshipping film actors and sportsmen, while any work calls for worship. Handmade doesn’t stop at making by hand. Mind is contemplative, a rhythm which is harmonious with nature. It doesn’t remain with products, it goes deeper – Irrfan Khan explained. The depth that comes along with the handmade also relates to ecological questions, where the human is depleting the planet’s resources. Wellknown theatre artiste and singer M D Pallavi discussed the use of technology in the music where it is primarily used to preserve; to produce; to create. However, technology of producing or replicating music through “sampling techniques” is forcing artists to abandon music and switch to other livelihoods. She bemoaned how violinists and percussionists have been displaced by the overemphatic presence of musical machines, and that they are now forced to become taxi drivers to eke out a living. Mohan Rao, of Rashtriya Chenetha Janasamakhya, who has worked extensively with handloom weavers in Chirala, AP and rest of the country, said that handloom weaving is a green industry. Through export alone Rs. 20,000 crores of income is generated through handloom and handicrafts. However, the annual budget allotted to the sector is a meagre Rs 219 crores. The regressive policies followed by tax regimes since independence have forced handloom weavers from being entrepreneurs to low-waged labourers. Yatiraju C, Environmentalist from Tumkur and recently given the Rajyotsava award by Karnataka Government discussed the importance of agriculture for India’s economy, where it constitutes the maximum share of country’s exports. Despite this, marginal farmers are being labelled as “economically unviable” in a bid to make way for industrial farming methods. This is leading to the food chain being poisoned and human health jeopardised through lifestyle diseases. Natural farming is the only hope for future. V. Gayathri of Inter Cultural Research and Action (ICRA) argued that agriculture is primarily handmade, where all the activities, except ploughing, involves manual labour. Despite this, the Minimum Support Price announced by the governments does not do justice to the work input, forcing them to prefer being labourers than farmers – as there is more assured income and lower liability. On the other hand, Governments are obsessed with the idea precision farming by using imported technology. However, women who practice traditional farming have the such super skills as an intrinsic part of their activity, and one example is how they sow seeds with extreme precision and transplant and raise crop with great geometric rhythm. She also emphasised the need to educate consumers on why food crops grown with traditional methods, which are more nutritious, are also more expensive. Next, Magline Philomina, an activist from “The Eradesha Maheelaveedhi” of Kerala, who works with the fisher communities, spoke about who women contribute significantly to the fishing activity and yet are not recognised for their work, which is about 90% of the work. On the one hand, the coastal community is increasingly facing threats and on the other, their lands are being siphoned-off for ports, petrochemical complexes and for tourism, urban and industrial developments. “We need the sea. We need the beach to survive. Where should be go to fish if we are not allowed to live and work on the coast?”, she painfully asked. She also shared how despite all the satellite technology to assist in establishing early warning systems, they have not helped save lives of fisherfolk and at least 2200 are known to have perished in the recent cyclone Ockhi. “Thousands are still missing” she said. Leo Saldhana of Environment Support Group drew attention to a recent World Bank report reviewing key events of 2017, in which it is said that two-third of world’s wealth is made with people’s power – handmade. Yet, most of the world’s wealth is aggregated in an handful of individuals, and the situation is no different in India. He also threw light on how the poor are subsidising the rich. The rich are essentially extracting money and resources from the poor and yet are being incentivised by tax writeoffs, loan waivers, and subsidies. Neelkanth Mama, a shepherd and social activist, distinguished intelligence of the educated that relies on technology from wisdom among the shepherds who rely on nature for their knowledge. He said we have knowledge, which we employ every day to make complex decisions. But that is not considered ‘knowledge’ unless it comes from a computer. He also spoke about human wellbeing interlinked with traditional sheep rearing methods which involved grazing them on diverse herbs in diverse habitats. Doddaullarthi Karianna of Amrit Mahal Kaval Horata Samiti of Challakere, Chitradurga said his people do not need the government’s support as long as they have access to their grazing lands and are allowed to grow food that has a viable price. He asked why there is emphasis on enforcing a single tax regime on everyone, rich and poor, when the poor don’t get any support in the form of health, education and housing, whereas those with wealth continue to enjoy benefits and sops. He bemoaned the Constitutional values of equity and justice for all is being destroyed every time a new economic policy is brought in. Dr. Shamala Devi, Sociologist and Dr JK Suresh, activist from Lokavidya Vedike looked at homemaking as handmade. Despite an important role homemakers play of nation building through homemaking, they are not paid and their work is unrecognised, said Dr. Shamala. We are trapped in age-old notions of separating the physical and mental labour which has its roots in the industrial revolution. Science has further objectified this notion, Dr. Suresh said. Gopi Krishna, designer and social activist from Belgaum, spoke about the nuances of traditional methods of nomadic shepherding. Their approach to productivity does not depend on the number of sheep but on the health and quality of each sheep, and of their capacity to live in a paradigm that is not extractive but supportive of humanity and nature. Their harmonious way of living with nature is such that they ever revere predators which prey on their sheep, saying it is their due. Sreekumar, farmer from the Sangatya Commune in Karkala, said that we have enough science and technology to move ahead but unless we correct our value system, no amount of science can save humans. He emphasised the need to nurture cooperation, value our commons; competition, exploitation and accumulation. Fr. Francis Guntipilly of Ashirwad, paid a glowing tribute to Fr. Ambrose Pinto who passed away on 3rd January, and said he was a social activist who always worked for the rights of the poor, in particular Dalits. Fr. Manoj, Director of the St. Joseph’s Institue of Management was present and supported the entire event with great generosity and the support of his staff. Towards the end of a great day of intense deliberations, the Resolutions proposed were adopted and accepted by all delegates, unanimously. Jahnavi Pai, Namrata Kabra, Asha S, Apoorva Patil, Harsh Vardhan Bhati, Swetha Rao Dhananka, Kanishka.